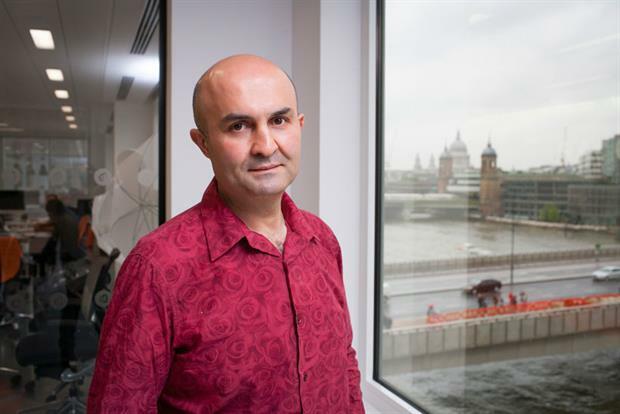 Omaid Hiwaizi is president of global marketing at Blippar. Google made a bid this year at Cannes to get advertisers to help provide a counter-narrative to terrorist propaganda online, raising huge questions for the industry. YouTube is still receiving beheading videos on a weekly basis from ISIS. While these aren’t getting reported in the media, they show that brutality and the pernicious rhetoric of hate online is as robust as ever. A study by researchers at the Brookings Institution found more than 46,000 active Twitter accounts supporting the Islamic State in a two-month period. And as soon as one account is closed down, more appear. Google director of policy strategy Victoria Grand said: "ISIS having a viral moment on social media and countervailing viewpoints are nowhere near strong enough to oppose them." She and Google’s chief legal officer David Drummond urged advertisers to help to combat Isis’ deft command of social media. "Advertisers are the most gifted storytellers out there. As storytellers, all of us have a responsibility to start countering these voices," said Drummond. ISIS is not only imitating social and digital marketing strategies used by brands; the organization is selling state-branded goods, from babywear to wedding rings. Google has ramped up surveillance of services like YouTube and Gmail in response to ISIS' recent huge online push to raise its profile and convert new members. In an effort to combat radicalization among young people, YouTube stars have been signed up to work with counterterrorism organisations. One such is British Muslim YouTube comedian Humza Arshad, whose 15-minute film, called Think for Yourself, stars Arshad's "Badman" character as a pastiche of a "streetwise" young British Muslim. The film focuses on the issues of extremism and the ways in which alienated young people can be exploited. Advertisers and agencies arguably know better than anyone how to target young people. One of the trends at Cannes this year is brands powering social good. That movement needs to be extended to actively fighting the hatred that is spreading online. Having spent my whole career in this industry and having my roots firmly in Iraq (I’m Kurdish but was born in Baghdad), I’m passionate we should be working with and supporting government and counter terrorism groups to provide a different and powerful viewpoint for malleable teens online is an obvious step forward for this industry.